“One of the big lessons about surfing is learning to operate in the present. That’s really what the entire foundation about surfing is.” ~Jack Johnson, professional surfer and musician. 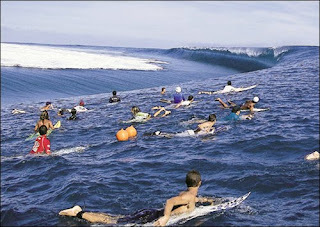 A number of prophets have been hearing about a great “tidal wave” coming (http://bit.ly/GodsWave): a wave of God’s glory, yes! But such a powerful wave, while being profoundly good in nature, will also cause immense destruction of anything found in its way: the coming wave will both fulfill our greatest longings and destroy many of the things we’ve relied on over the years. At the very least, the coming tidal wave will include massive transition for the people of God. Frankly, I believe it will revolutionize the entire culture of many nations (keep in mind that “revolutionize” comes from “revolution” and is not a tidy word, or a safe one). We are experiencing the beginnings of it now, and when the first crush of the transition is over, there will be remarkably little left that is familiar to us. 1) Stand firm and endure it. This response works well on lesser transitions, but I want to grab and shake those people planning to stand firm and endure the transition that is going on now: If you stand in the path of this wave, if you expect to resist it, you will die. You may die a hero; you may die a fool, but you will die. Please, don’t try to “Keep calm and carry on” in this one. 2) Resist the change. I hear stories about groups of people gathering together, arming themselves, in order to fight off some of the civil and political changes. I’ve heard a number of people organizing signature drives, lobbying politicians about what needs to happen. Frankly, if God is telling you to do that, please obey Him! But a tidal wave does not slow down for either a 7.62 mm bullet or a fully-documented petition. Obey what God is saying, but don’t count on being able to hold off the wave. 3) Dive deep, under the wave. I’ve met a goodly number of people who are “going off the grid” in one way or another specifically for the purpose of not getting caught in the wave of transitions – political, cultural, spiritual, economic – that this wave is bringing with it. Others are dropping out (or considering dropping out) of fellowships, out of visible public positions, out of social networks with the goal of reducing the impact of all that change going on in the various aspects of their lives. I have serious questions about the viability of this response to a tidal wave. Most waves bring a load of water in to shore, crash on the shore, and then the water level goes back to normal. A tidal wave is not like that. A tidal wave looks a lot like a normal breaking wave when it’s coming at you, but behind it, the water level stays high: it never goes back to normal. Assuming that a very skilled swimmer has attempted to dive deep, under the wave, coming back to the surface, reaching air again, will be far more difficult than it usually is. 4) Run for higher ground. It’s ironic that this has actually been the most effective way – in the natural – for people to escape the destruction of tidal waves: get out of the path of the wave. The prophecies about the coming wave (or waves) suggests that there will be no safe place where you can avoid this move of God, this change in our civilization. You can run screaming, but by the time you see the wave, it’s too late. And really, screaming won’t help. The Hitchhiker’s Guide to the Galaxy had the right advice here: Don’t panic! “Build your house on the Rock” is superb counsel, but it won’t keep the wave from overwhelming you. The wave will still come, the storm will still rage, and you will be battered around, and you’ll get cold, wet & miserable. But if you are well-founded on the Rock of Christ, you and yours will emerge, wide-eyed and victorious after the storm, ready to partner with God and build a new world after the old one has vanished under the wave. 5) Ride the wave. Yeah, let’s acknowledge that people don’t usually surf tidal waves, but I think that’s going to change, at least for the “Move of God” aspect of the coming waves. Yeah, surfers need to be out in the water before the wave hits, and yeah, surfing a tidal wave is a dangerous proposition: I get that, and I’m not advising that everyone try this. But some of us (some of you) are called to this: ride the wave! Let the overwhelming, overpowering, completely out-of-control move of the Spirit carry you, propel you into the things that God is calling you into, into the things that you’ve secretly dreamed of all your life. And here’s where Jack Johnson’s advice applies: surfing in general – and even more so when you’re surfing a tidal wave – is about being “in the moment,” or “in the present.” Other than being available – being out in the deep water with God before the wave hits – there’s no advance preparation you can do besides learn to move in the Spirit. When it happens, tomorrow may not even exist for you: every day is the only day of your life, though you may have 90 years of that! Respond instantly, instinctively to the movement in the wave, in the Spirit. Let me conclude by re-emphasizing that every one of us need to be well-grounded on the Rock who is Christ: on who He is and on what He has taught us! Ungrounded people, ungrounded fellowships simply will not survive what’s coming. He is calling only a few to wax up their longboards and paddle out to the deep water, and keep an eye on the horizon. There is no shame for those who choose not to paddle out to the deep, or who lack the strength or the skills to do so. But there is also no condemnation for those who do: whether they stuff it big time, or whether they ride the wave to its conclusion, we must cheer them on. The great cloud of witnesses is watching us. 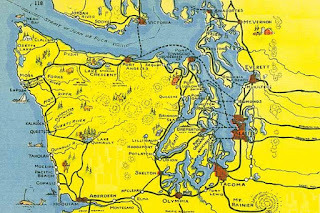 I had the sense that God is doing something in some places in Northwest Washington, particularly on the Peninsulas (Kitsap, Olympic) that's a lot like compost. Yeah, I know: weird, eh? He’s not doing this only on the peninsulas, but these are the areas that he brought to my attention this morning, as I was working in my own garden. Compost is essentially trash (lawn clippings, table scraps, yard trimmings, farm animal poo) that's buried. Often compost is buried in more compost, but my sense was that this was underground, beneath the surface. And when compost is buried, worms and bacteria and rot work in the trash, and over time, they turn it into the richest, best, most nourishing soil that a seed can grow in, so rich, in fact, that a good gardener will often have to “cut it” with something safer (regular dirt, peat moss, vermiculite, etc) so that it doesn’t burn the tender young roots of a baby plant. My sense is that God has been doing this in the Peninsulas of Washington State: taking the trash, the castouts, the human beings that have been discarded, trimmed from more civilized culture, and he’s taken the poo, the worst circumstances, crises, difficulties, trials and hopelessness, and he’s buried them, hidden them. And while, over the years, the tourists come and go, the city folk move to the suburbs to civilize them, God has been working in the buried trash and poo, and he’s been working a miracle. There’s a richness that’s developed among these discarded people, these who have endured such poo from life. There’s a readiness, a goodness, a nourishing home for the Spirit of God to find a home, and to move among a people. 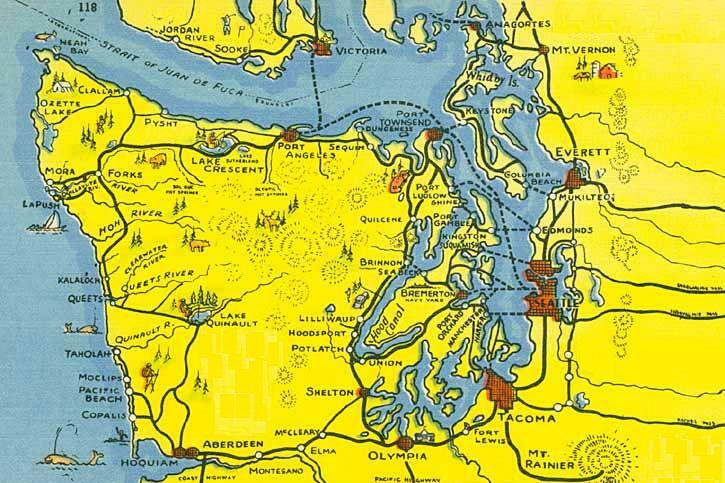 There are no big, famous fellowships that I know of in Northwest Washington, but there’s a lot of fellowship. And so much of it has been under the surface, hidden from view, but in those unseen places, God has been building some mighty sons and daughters, warriors who haven’t known the temptations of big city churches, and who haven’t fallen prey to the cruel masters of numbers and money. Look to the peninsulas when you’re looking for revival. Listen to the peninsulas when you’re listening for what God is up to. There’s life sprouting in the compost there, life that will influence and nourish the entire region. Covers. This is my power that Blesses. This is my power that Unifies. presence of the King of Glory. Love, to all those who dwell on this earth. the value of your prayers!